Netanyahu’s Re-Election Bid: Netanyahu Seeks Trump Bump As He Brings Re-Election Bid To U.S.
Netanyahu Seeks Trump Bump as He Brings Re-Election Bid to U.S.
(Bloomberg) -- Donald Trump has spent two years showering Benjamin Netanyahu with precious political gifts, from the Jerusalem embassy move to his exit from the Iran nuclear deal. With a close-run election looming, the Israeli leader needs him more than ever. Netanyahu travels to Washington next week with a corruption scandal hanging over his bid for re-election on April 9. For the first time in a decade, his fragile coalition could fall to a center-left bloc led by ex-military chief of staff Benny Gantz. Netanyahu’s officially coming for the AIPAC conference, an annual pro-Israel policy gathering that’s become a key stop for political leaders, but his visit will serve up excellent campaign optics back home. He’s certain to be photographed meeting President Trump while his speech, delivered in his American-accented baritone, will get plenty of airtime in Israel. While heads of state typically avoid picking favorites in foreign elections, the Israel-U.S. relationship has sometimes deviated from that norm. President George H.W. Bush gave not-so-subtle support to help Yitzhak Rabin defeat Yitzhak Shamir in 1992. Netanyahu made a failed attempt to help Mitt Romney defeat Barack Obama in 2012. Trump has made clear who his preferred candidate is, telling reporters in Hanoi last month that Netanyahu "has done a great job” and “is smart, strong and tough.” The U.S. president could have even more to offer. 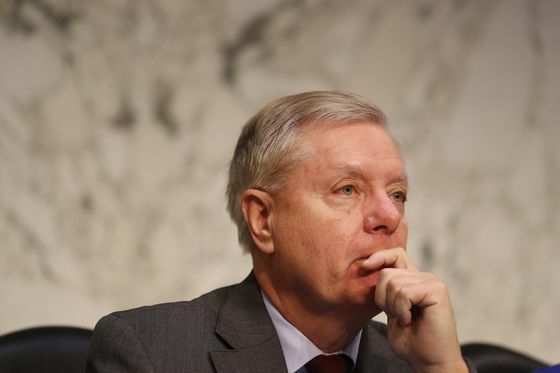 Republican Senator Lindsey Graham said he’s lobbying Trump to recognize Israel’s sovereignty over the Golan Heights, land it captured from Syria in the 1967 Middle East war and annexed in 1981 in a move that wasn’t recognized internationally. "I don’t know about timing, but I hope he’ll do it quickly,” Graham said in a March 11 interview in Jerusalem. The campaign boost could come even before Netanyahu’s trip. 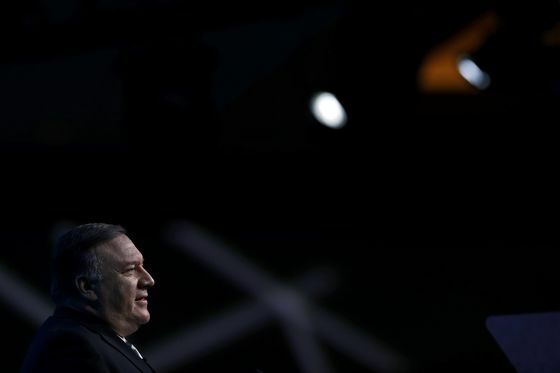 Secretary of State Michael Pompeo will visit Israel this week as part of a three-nation tour and have public events with the prime minister. He won’t meet Gantz, a State Department official said. Gantz, 59, will also address the AIPAC conference. He will focus on his effort to rebuild Israel’s relationship with American Jews, which have been strained partly by Netanyahu’s close ties with Trump. U.S. Jews overwhelmingly vote Democrat and are uncomfortable with Netanyahu’s embrace of a president accused of enabling a rise in antisemitism. A recent deal Netanyahu’s Likud party helped broker with a far-right, anti-Arab political group drew a rare rebuke from AIPAC itself. Trump’s support for Israel has made him more popular there than almost anywhere else. Early in his tenure, he equivocated on America’s support for a Palestinian state alongside Israel. “I’m looking at a two-state and one-state, and I like the one that both parties like,” Trump said in early 2017. Major intersections in Israel feature posters of Netanyahu gripping Trump’s hand. And after being hit with the attorney general’s draft indictment, Netanyahu praised his friendship with the U.S. president in an address before getting around to the allegations. People familiar with the two men say they often coordinate their actions behind the scenes. That collaboration was on full display last year when Netanyahu revealed what he said were secret Iranian nuclear documents days before Trump announced the U.S. withdrawal from the deal forged under his predecessor. Their closeness could even constrain Netanyahu as Trump’s administration gets closer to releasing its much-vaunted plan for Middle East peace. 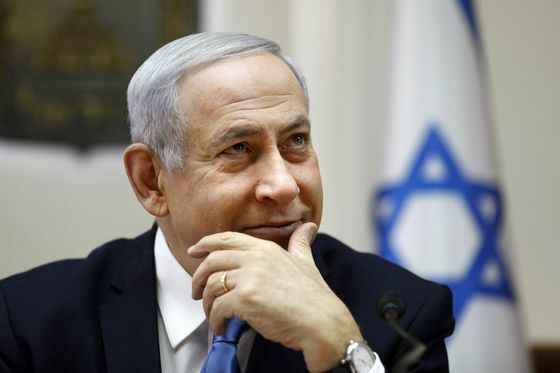 “It’s pretty clear Bibi is prepared to do a lot in these elections but one of the things he’s not going to do is say something that might alienate Trump,” said Dennis Ross, a former Middle East peace envoy in the Obama administration. Naftali Bennett, chairman of the nationalist New Right party, has seized on the impending roll-out of the peace plan to pry away right-wing voters, warning that Netanyahu and Trump are planning to establish a Palestinian state in the West Bank and divide Jerusalem. But Israeli envoy to the United Nations Danny Danon said Israelis aren’t so gullible.